Chick season is fun, but make sure you're prepared to welcome new chicks to your backyard and keep them healthy. Good baby chick health early on gives your birds the building blocks they need to become healthy adults. 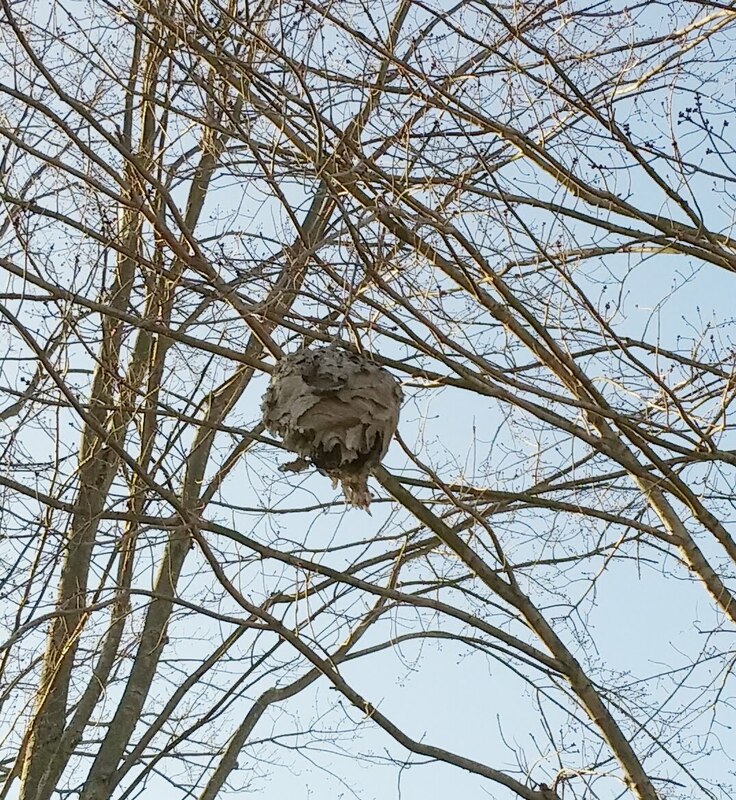 Bald-Faced Hornet nests have a story to tell. Through most of the year, hornet nests are barely visible tucked in trees with leaves surrounding them. But in winter, hornet nests are easily found and fascinating structures that can be safely explored without fear of repercussion. Around my neck of the woods, bald-faced hornets make beautiful, teardrop-shaped nests that provide a home base for the colony from spring to late fall. Feeding your flock a nutritious and varied diet should include prebiotics and probiotics for chickens. Many commercial feed rations contain prebiotics and probiotics. But what are prebiotics and probiotics? Is there a way to supply them to your flock beyond commercial feed? How do probiotics and prebiotics help backyard chickens? What are Prebiotics and Probiotics? Probiotics are live organisms that live in your intestinal tract and, to put it delicately, keep things cleaned out and flowing well. They also help to strengthen your immune system. They can be found in foods that have live cultures, like sauerkraut, apple cider vinegar, cheese, sour cream and, famously, yogurt. Prebiotics set the stage for probiotics because they are the food for probiotics. Prebiotics are a non-digestible type of plant fiber. Many high-fiber foods are also high in prebiotics. The New Hampshire Red chicken is a great family-friendly bird that's named for the state where it was developed. 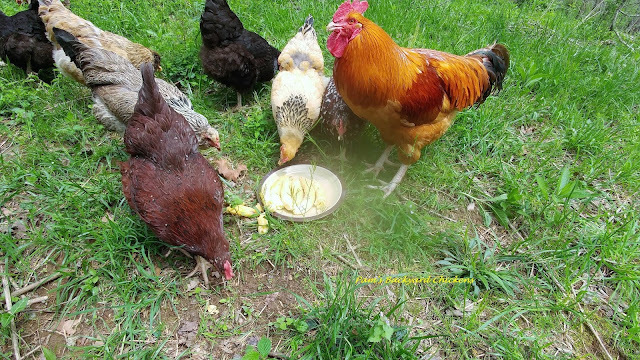 Many confuse this breed with the Rhode Island Red which makes sense because it was originally developed from Rhode Island Red stock. This is a good dual-purpose bird that matures early and consistently lays brown eggs. 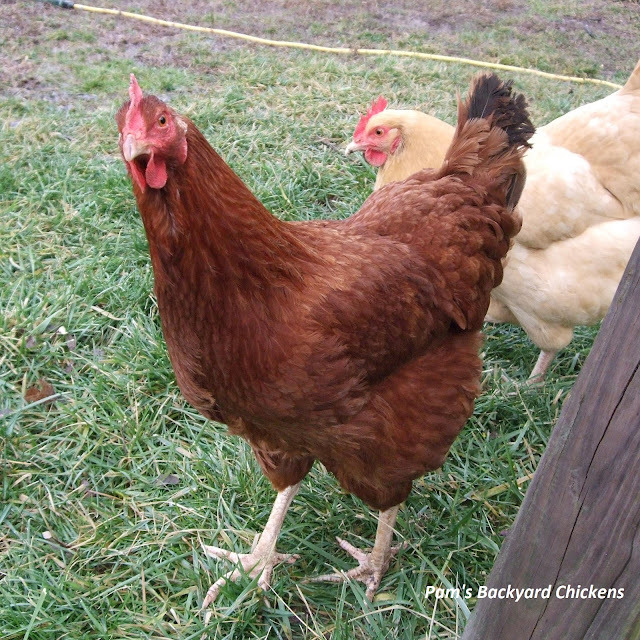 Big Red and our Buff Orpington (behind) are two of our most friendly chickens.